Richard MacLeod’s novel of family and love is brimming with well-developed characters, a stirring plot, and a thrilling ending. Mr. MacLeod is a gifted writer. The panorama of feelings and experiences in Faces in the Sand reads as an epic novel—filled with charisma and beauty, inviting characters and vivid descriptions. There is nothing dry or sluggish about this novel. We are quickly immersed in the mind of Portia, a therapist who searches desperately for the true memory of her dying father. Mr. MacLeod deftly reveals the warm longing and devotion of a loving daughter and her desperate search for experiences lost and found. Her father, like so many others, was a victim of World War II. After 25 years of absence, Portia searches for meaning in their missing relationship. They had become strangers, absent in a life of warm wishes. She felt deserted, betrayed, and unloved; yet on his deathbed, Portia gently strokes his head as she would a beloved child. As she reflects upon her childhood and beyond, author MacLeod showers readers with a rich tapestry of descriptions, adroitly layering evocative imagery and metaphor. Mr. MacLeod’s comprehension of psychology is revealed through Portia as she ruminates over the people parading through her life. It is a tapestry of conceptions; thoughts leading to new ideas, leading to new understanding. Through the eyes of her patients, Portia, a skilled therapist, explores the same strong and lucid feelings of abandonment, fear, and desire that she so desperately desires to work out in her own life. Through her father’s old friends and myriad letters, her father’s idyllic and heroic life pours out to her. Portia grows through the experience, as do all abandoned children who seek to understand life, love and opportunities lost. Mr. MacLeod explores the terror of battle in North Africa and beyond in letters to and from her father. But memories became reality and reality fades into conjecture during the process. The ending is shocking and thrilling. No one turns out to be who they appear to be. Reality turns fantasy upside down. Faces in the Sand is a story of lost love, the terror of war, and one child who wishes to pull all of the pieces together. The ending is shocking and penetrating. 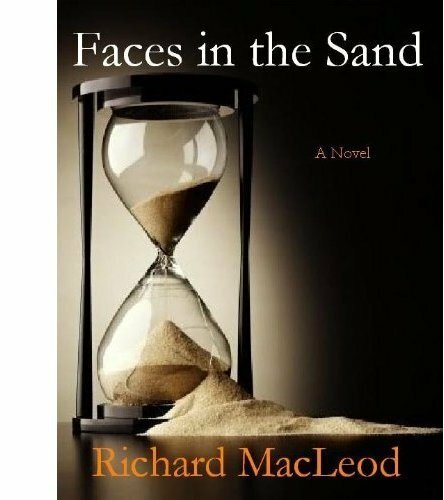 Faces in the Sand is a powerful piece of fiction that will appeal to anyone who has had a mysterious, emotionally unavailable, or lost parent or spouse. Reality is often very different from our expectations or understanding. This is a book that will remain with the reader for an eternity. Charles Weinblatt is the author of the young adult novel, Jacob’s Courage: A Holocaust Love Story (Mazo Publishers).